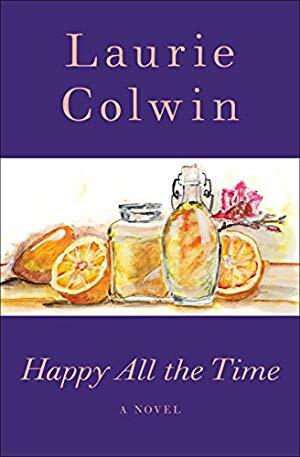 I've recommended Colwin's nonfiction a number of times, but this novel about best friends Guido and Vincent together in Cambridge, deciding what to do with the rest of their lives -- from careers to passions to love -- would be a great fall read. The publisher calls this "a dazzling tribute to the hard work and real courage it takes to create a storybook romance." A witty modern-day classic about two unique couples discovering universal truths about love and marriage from “a wise, bighearted writer” (The Washington Post). Guido, Holly, Vincent, and Misty are lucky enough to find love. The question is, are they smart enough to hold on to it? From the terrifying uncertainty of courtship to the dull contentment of marriage, Happy All the Time is a dazzling tribute to the hard work and real courage it takes to create a storybook romance. This ebook features an illustrated biography of Laurie Colwin including rare photos and never-before-seen documents from the author’s estate.